Post Oral Surgery Instructions | Auburn, WA | John B. Carpenter D.D.S., P.S. You may expect some swelling after your dental surgery, regardless how minimally invasive. Swelling is a part of the natural healing process and may last several weeks. Swelling depends on the nature and extent of your surgery. Fair skinned, or individuals who bruise easily may anticipate some discoloration of the skin in the area surrounding the surgical procedure site. You should not experience severe discomfort. Any discomfort you may experience should be controlled with proper medication. Severe pain is not anticipated after implant placement. If active bleeding continues after 3-4 hours of applied pressure to the surgical site. If you are unable to maintain a nutritious diet after 48 hours. If pain or swelling increases after the third day.. If sutures or stitches become loose or dislodged prior to the third day or if an implant becomes loose. If you have any symptoms which may indicate a reaction or allergy to medications, such as skin rash, hives, elevated temperature, increased and/or erratic heart rate, nausea/vomiting, dizziness/faint, or blurred vision. If your body temperature, measured orally, exceeds 100.5° F.
Please notify your doctor as soon as possible if you have any questions or you are experiencing any of the above symptoms. Most often a simple explanation can resolve the situation and free you of worry. To slow and prevent bleeding, bite with light pressure on folded gauze placed over the surgical site. Gauze should be replaced and pressure should be applied in 30 minute intervals and repeated until the bleeding is controlled. Pressure will assist in the body’s natural blood clotting process. If the bleeding persists, without slowing for several hours, apply a moist tea bag wrapped in gauze and repeat the steps above. The Tannic Acid in the tea will assist in controlling the bleeding. If active bleeding is still occurring after 3-4 hours, and the above measure has been taken, call our office immediately. After 24 hours, gently rinse with warm salt water. DO NOT use vigorous mouth washing action. This may dislodge the body’s natural clotting processes and reopen the area to bleeding, also known as a dry socket, which will cause severe pain. Avoid rinsing, spitting, sucking through a straw, or smoking for the next several hours. Any of these may disturb the blood clot and slow down the healing process. Do Not exercise, use physical force or enter stressful situations for the first twenty-four hours or until the medication and process allows. This will increase your heart rate and blood pressure. This also has an adverse action on the body’s natural healing processes, and could cause a dry socket. Do Not operate heavy or hazardous equipment for the first twenty-four hours or until the prescribed medication and natural healing process allows. If non-absorbable sutures are placed you will need to make an appointment to have your sutures removed in approximately a week. If absorbable sutures are placed they will disappear on their own in approximately 7 – 10 days. Apply ice packs at fifteen minute intervals to reduce swelling. Swelling is a part of the body’s healing process and can be expected for three days to several weeks depending on the nature and extent of the surgery. After seventy-two hours heat may be applied to the area. Heat will increase circulation and aid in the healing process. Do Not try to eat solid foods until the local anesthetic wears off. You will have no feeling in the surrounding area, including your tongue, and may unknowingly bite yourself. Do Not use a straw when consuming liquids. The sucking action will cause a vacuum in the mouth and may dislodge the body’s natural clotting process, possibly causing a dry socket. A nutritious diet throughout your healing stage is most important to your comfort, temperament and healing. Hungry people become irritable and less able to deal with discomfort that can follow surgery. Since you will be taking medication it is important that you are aware that eating can prevent nausea sometimes associated with certain medications. Milk, along with cooked cereals, scrambled eggs, cottage cheese and milk toast are recommended for the initial day following surgery. Soups, broiled fish, stewed chicken, mashed potatoes and cooked vegetables can be added to your diet as your comfort indicates. Do not eat sticky or hard foods. Do not eat foods that break into hard sharp pieces such as nuts, corn chips and popcorn. Avoid acidic foods such as tomatoes, orange juice and citrus fruits. Sensitivity to cold on the natural teeth can occur and will disappear gradually with time. Avoid ice, ice cream, cold drinks and solids. Consume liquids immediately and prior to taking any pain medication. This will help prevent nausea and upset stomach and expedite the medications effects. If an antibiotic is prescribed, you should take the medication exactly as described on the prescription and take the antibiotics to completion. If you were sedated for surgery, Do Not drive or operate heavy equipment, Do Not work around machinery, and Do Not climb ladders or work at unprotected heights for twenty-four hours or until the effects of sedation have vanished. Do Not consume alcoholic beverages until the healing process is complete and while you are under medication. Do Not exceed the prescribed and recommended dosage. Take only the medication as directed on the prescription. Do Not give any of your medication to any other individual, including members of your family. Do Not leave your medication exposed and available to children. Notify your doctor if you have any symptoms that may be related to an allergic reaction. If you cannot reach your doctor, contact the local Emergency Room. At that time have the prescribed medication with you so that you can discuss the matter with emergency room personnel. Depending on your type of oral surgery, you will have a follow up appointment in 1 – 7 days. You will have a series of follow up appointments to monitor your healing following your implant placement. Your doctor will monitor the healing and stability of the implant to determine when to begin the crown placement procedure. This usually takes anywhere from 2 – 6 months. DO NOT rinse for at least twenty-four hours. 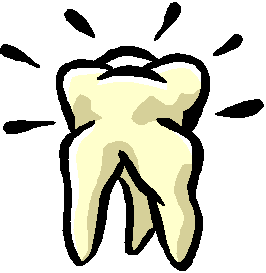 DO NOT rinse for three days following a bone graft surgery. DO NOT smoke. If you are a smoker, be aware that smoking will prolong the healing of the surgical site, create a higher risk of getting a dry socket, and Implants are at a higher risk to fail. Smoking reduces blood supply to the bone, prolonging the healing process. Get plenty of rest, cold compress on the swollen area, light pressure on the area and elevate your head whenever you lie down (two or three pillows are usually sufficient).